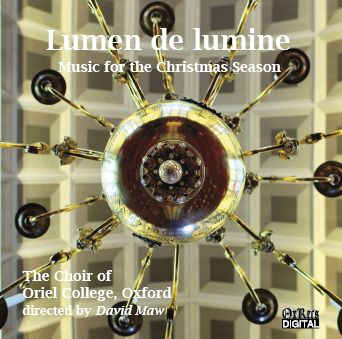 Oriel College Choir is a mixed-voice ensemble of between 25 and 30 undergraduates. As is well exemplified by this disc, its repertory is drawn from the full range of music appropriate for use in Anglican choral worship: Mass music and motets from the sixteenth century to canticle settings and anthems from the twenty-first. Previous CD titles may be viewed here. CMQ Dec 2018: The mixed-voice undergraduate choir sings with good intonation, clear textures and a nice sence of direction. The CD may lack any single standout feature on which to hang a recommendation, but the varied juxtapositions of idioms and textures organized within the structure of the church year provide an enjoyable sequence of contrasting items. Release not available for download.